I am pleased to announce a special guest blogger, Tim McMahon. 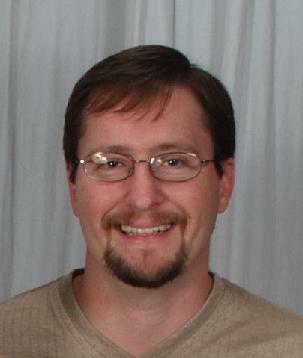 Tim is the Founder and Contributor of A Lean Journey Blog. His site is dedicated to sharing lessons and experiences along the Lean Journey in the Quest for True North. The blog also serves as the source for learning and reflection which are critical elements in Lean Thinking. Check out his blog, he has a lot of great information. One of the most common questions I hear with 5S (and Lean for that matter) is how do you sustain. Sustaining 5S can be very difficult without the use of 5S standard. A layered audit program is essential to ensure that your company’s 5S efforts continue. Layered Audits are tied directly into the fifth S – Sustain – and they are the means used in Lean Improvement Systems to avoid “backsliding” into old habits, creating sustainable culture change. Originating in the automotive industry, the concepts behind the Layered Process Audit are not new. They find their origin in the well-known Plan-Do-Check-Act continuous improvement cycle. Layered Process Audits require that multiple operational levels within an organization review the same key operational controls to ensure sustainability. Simply stated, they are an ongoing chain of simple verification checks, which through observation, evaluation and conversations on the line; assure that the process is being properly performed. The key is everyone is an “auditor”. To paraphrase E. Edwards Deming, no one goes to work with the intention of doing a bad job. Therefore, everyone wants to know that he or she is doing a good job. If people need to know that they are doing a good job, they need to have metrics regarding their job. This starts with the operator personally checking their process for compliance. Then the first line supervisor checks key processes, where feedback is immediate as are any agreed-upon corrective actions. The next level supervisor would then make the same checks, and so forth, up the chain of command in the organization. The essential part of the Layered Audit is the creation of a standard checklist You must identify and ask the right questions on the checklist. This is where Standard work at all levels of the organization is critical. 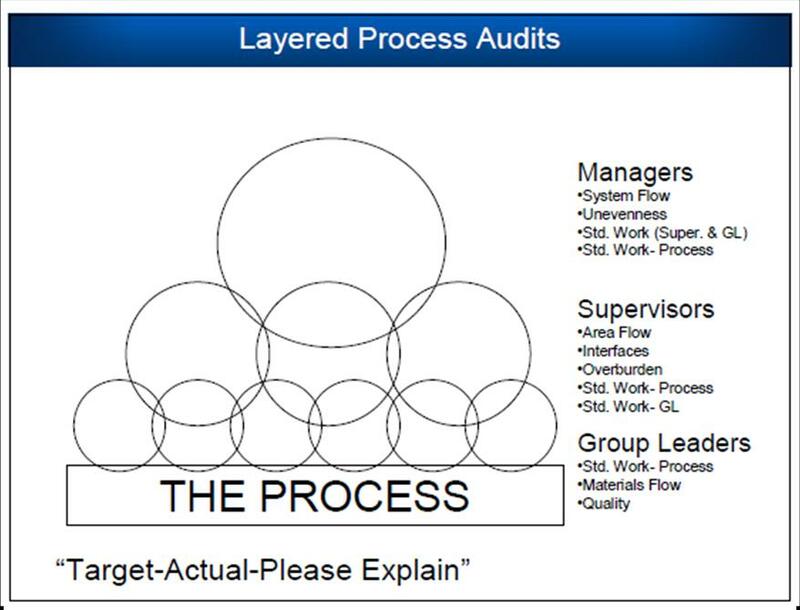 Layered Audits is a formalization of “management by walking the Gemba”. Layered Process Audits can be compared to a preflight checklist. Is my operation ready for take-off? Am I confident that everything is in place to build and ship conforming product to my customer? When the flight, or day, goes smoothly, management and operators can use the time saved to work on improvements. The Layered Audit approach is especially effective in sustaining process improvements and institutionalizing key process steps because all levels of the organization participate. Managers often can learn much about the manufacturing processes from operators, and operators can learn much about what is important to customers from managers.